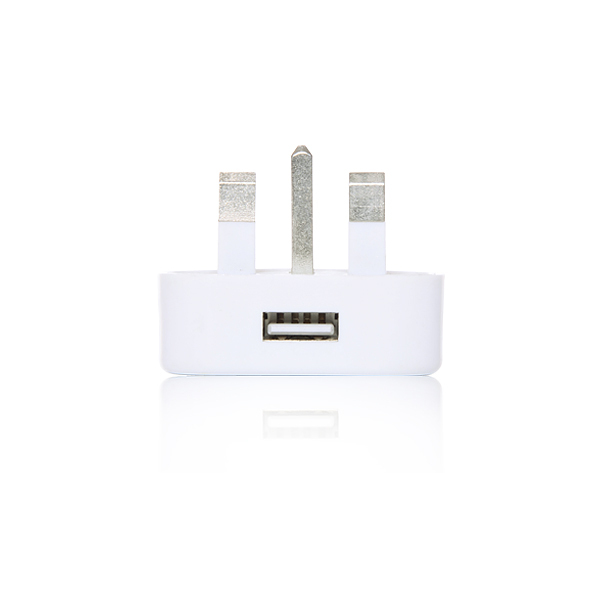 Turns any UK 3 Pin Socket into a USB Power Port to provide power for your electronic item where ever you are. Simply plug in this charger then your products USB cable and your away (For use with the charging lead provided with your product or if you don't have one most leads are sold separately on this site). 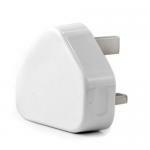 For use with the Data/Charging Cable supplied with your product or most others are Sold Separately on this site. Hi yes it should be it has the standard output for a USB port. Please can you advise what packaging this items come is in. We want to vend the item. do you have a picture of it in its packet? Hi they are bulk packed. Is this charger compatible with the Motorola Moto G 4G phone? is this suitable to charge a Garmin S2 GPS watch? The USB end of the cable I have is rectangular with a white bit along one edge inside. is this charger ok for nokia lumia?? Will this item work with and iPhone 5S? Hi Does this work just as well with the leads you sell as the genuine apple chargers (lead plus wall plug charger)? Thinking of buying this and buying one of the leads to go with it but want to know if they work as well as the genuine ones? Hi yes it does the same thing it is just a cheaper version. 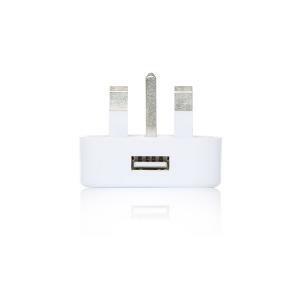 will this plug work with the lead from an iPod touch 4. Hi yes it will work fine with that. I have a Kindle fire HD. Will this charge as fast as the dedicated chargers for the Kindle range? Hi yes it is the correct output for the kindle range.